MIAMI (Reuters) - For decades, South Florida has battled drug traffickers who ship boatloads of cocaine from South America. 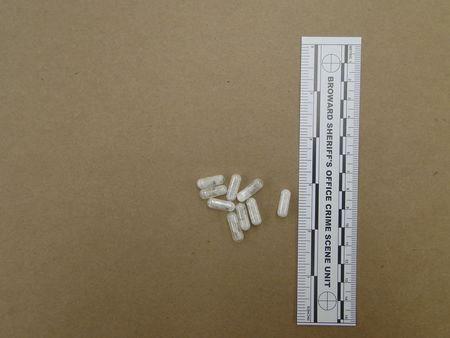 Now the region is dealing with a new epidemic - cheap, synthetic drugs that arrive from China through the mail. As authorities in the Sunshine State battle with the surge of Alpha-PVP, better known as "flakka" or "gravel," police departments have begun equipping officers with field detection kits, employing sniffer dogs at mail facilities and training patrol units to look for signs of delirium. The drug's popularity, however, is only growing. In 2014, the first year it appeared in the state, authorities in Broward County, which includes Fort Lauderdale and Hollywood, recorded 190 incidents involving flakka. By early May of this year, the number of incidents involving the drug had already raced past 275. "Cocaine was king, until this year," said Detective William Schwartz, a veteran narcotics officer with the Broward County Sheriff's Office. Unlike cocaine, flakka, is both cheap and accessible. The drug is widely advertised for sale online by Chinese companies and can be shipped in large quantities to U.S. addresses by established global delivery companies. Once it hits the streets, a single dose can sell for as little as $5. Flakka, which was placed on the U.S. list of illegal controlled substances in 2014, is chemically designed to mimic cathinone, a natural stimulant found in the leaves of the khat plant, chewed traditionally in the Arabian Peninsula and East Africa. It gets its nickname from the Spanish slang for a slender and attractive woman, and is similar to ecstasy or MDMA, and so-called "Molly." It is sold as small clear crystals that can be popped in the mouth or smoked. Users are said to feel a sense of super human strength and delirium. While flakka has also shown up in parts of Ohio, Houston and Chicago, it has made the most substantial U.S. inroads in South Florida, which historically has had one of the country's highest rates of drug use. Florida's long, contiguous coastline and numerous airports have made the state a leading U.S. entry point for cocaine, heroin and marijuana, mostly funneled from South America through the Caribbean. "We are ground central," said Robert C. Hutchinson, deputy special agent for Homeland Security Investigations in Miami. "We want to nip it in the bud before it gets out of control." 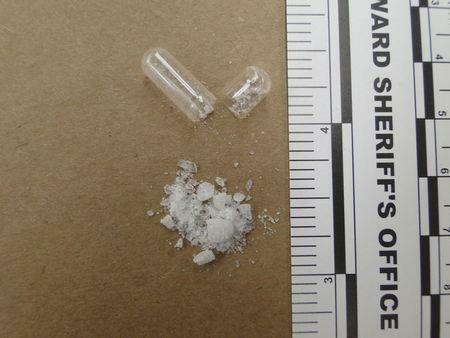 Synthetic drug seizures - almost all of which is flakka - accounted for 34 percent of Broward's crime lab reports in the first three months of 2015, overtaking cocaine which dropped to 30 percent, Schwartz said. "That's the first time in my memory that a drug has ever surpassed cocaine," he added. "We are crossing the threshold into a new world." One kilo, worth $50,000 on the street, can be bought from online companies in China for as little as $1,500, drug experts say. Law enforcement agencies face big obstacles because flakka is not illegal in China. Manufacturers there typically classify the drug as a legitimate "research chemical," and offer discreet delivery by mail. Gil Kerlikowske, the Commissioner of U.S. Customs and Border Protection said China had dramatically increased its criminal investigations into synthetic drugs but its huge ports and vast territory made it harder to tackle. 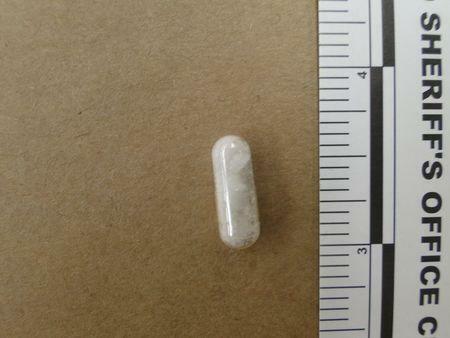 The Obama administration has raised the issue of flakka in talks with China, according to the U.S. State Department. What has law enforcement and drug treatment professionals most concerned are flakka's long-term effects. First-time users can take three to four days to return to a normal state of mind, while for repeat users, it could be 14 to 16 days, according to drug treatment professionals. Dr. Peter Ventre, a psychiatrist at Fort Lauderdale Hospital, said a girl in her early 20s recently suffered symptoms similar to a stroke or brain bleeding after using flakka. "Now she can't talk, can't recognize anybody and can't walk on her own," he said. Last month, police in Melbourne, southeast of Orlando, arrested a 17-year-old girl after finding her running down a street naked, covered in blood and screaming "I am god! I am Satan!," according to the police report. "They're convinced they're being chased by wild animals or people who are trying to kill them," said James Hall, an epidemiologist at Nova Southeastern University. He said some 27 people have died from flakka-related overdoses in the last eight months in Broward County alone. "It's the most intense, rapidly emerging drug problem since the 1980s with the emergence of crack cocaine," Hall added.